I am Trustee of a charity called Youth Action for Change International (YACI) which supports the education of orphans and vulnerable children in Benin. We are currently putting together an application for a research grant to Comic Relief. As part of my research today I came across this UNICEF video about malnutrition. But then I stopped and thought for a moment – are we doing so much better in the developed world? Don’t we have exactly the same problem with a slightly different face? The Department for Health estimates that 1 in 10 children is currently obese and that if things continue the way they are a quarter of children will be obese by 2050. 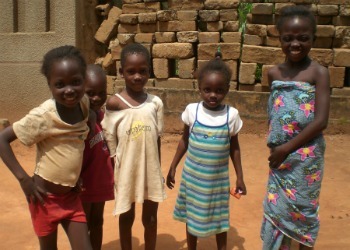 The problem of malnourishment in Benin is complicated by certain cultural practices and beliefs. Parents will not give their children eggs for fear that they will grow up to be thieves, and men often take their share of the meat first, with women and children sharing what’s leftover. In the UK the problem is caused by ignorance about portion size, the calorie and fat content of food and the impact of hours spent in front of video games and the TV. Essentially, a lack of knowledge about what to feed children is having a drastic impact on the health of the next generation, in both the global north and the global south. In Benin UNICEF is tackling the problem by targeting families and educating them about nutrition at the same time as broadcasting messages in local languages on radio stations. UNICEF reports that this is having a really positive impact and that parents are very happy with the changes in their children, once they know how feed them properly. I can’t help asking myself why we’re happy to take this direct approach to children’s health in Benin and not in the UK? This Government hopes to use ‘nudge’ theory to nudge people in the direction of healthy eating. Nudge theory resolves the Conservative dilemma between having a small state and intervening in peoples’ lives. I think there’s something to be learned from the work going on in Benin. If we’re to support parents to raise healthy children with a long future ahead of them a nudge isn’t enough.